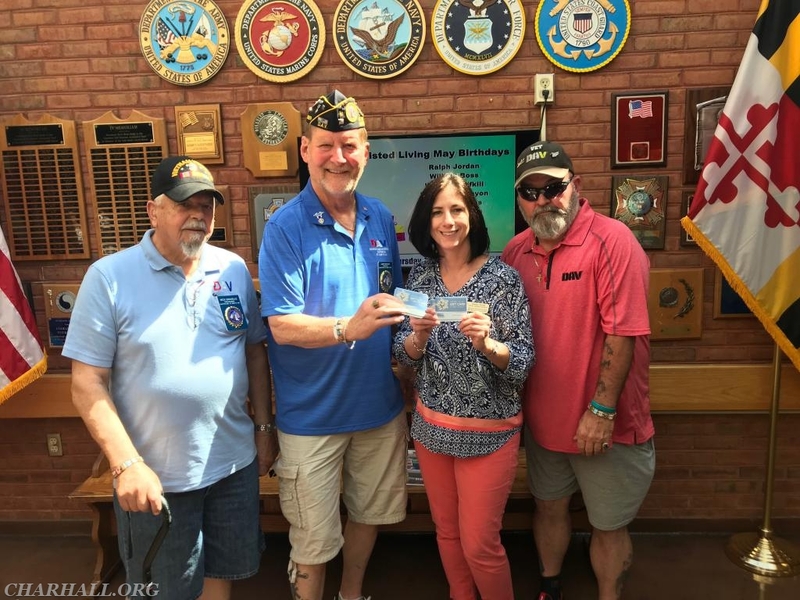 Thank you to DAV Chapter #26 for your generous donation of gift cards totaling $2,000.00. The gift cards will be used for our Veterans Assistance Fund, which helps to assist the residents in many different areas such as dental and optometry needs, Final Honors arrangements, personal care items such as toiletries, and various activities in and outside the home. Many of our resident do not have family members to help with some of their daily needs, so donations such as these and community support is very important. Charlotte Hall Veterans Home and our Veterans Thank You DAV Chapter #26 for all you do for our Veterans.